Another American, Art Gallegos Jr., said he supported President Trump’s plan to build a wall along the U.S.-Mexico border and wants to see illegal immigration stopped. Gallegos is a first-generation American from Mexico. 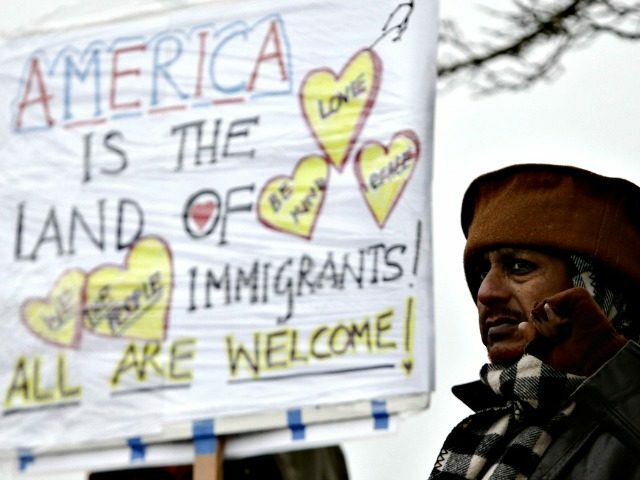 As Breitbart News has reported, Americans are supportive of Trump’s plan to enact a merit-based immigration system, where legal immigration is reduced by at least half. Trump’s plan to transform the current U.S. legal immigration system to one that is in keeping with the work of Civil Rights icon Barbara Jordan, who fought for reductions to legal immigration to boost black Americans’ wages and job opportunities. As mass immigration has continued, with border surges of illegal immigration occurring over the past few months, wages for American workers have continued to be nearly flat, growing by less than o.5 percent this month.